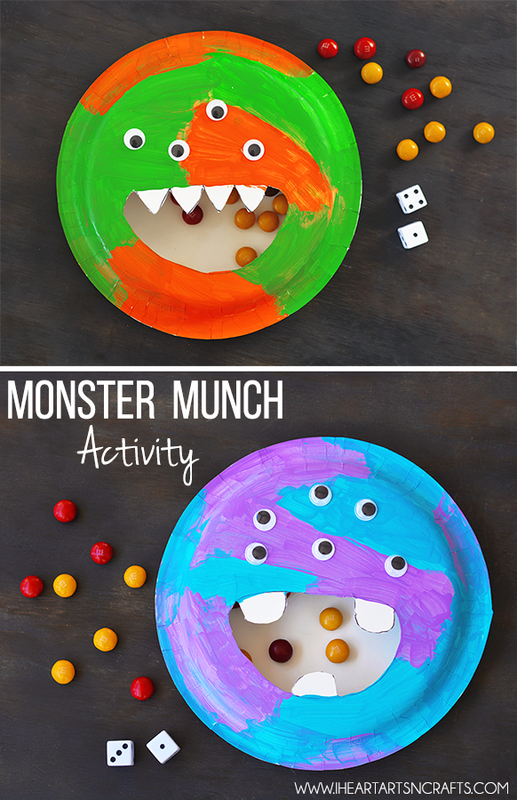 This week we made our own version of a counting game called Monster Munch, it’s a paper plate craft and a fun counting activity. 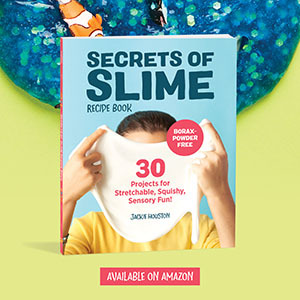 This would be perfect for all that leftover Halloween candy the kids always have! And this can be adapted for the younger ones, my toddler was able to do this as long as I pre-cut the mouth for him, you can see his below! 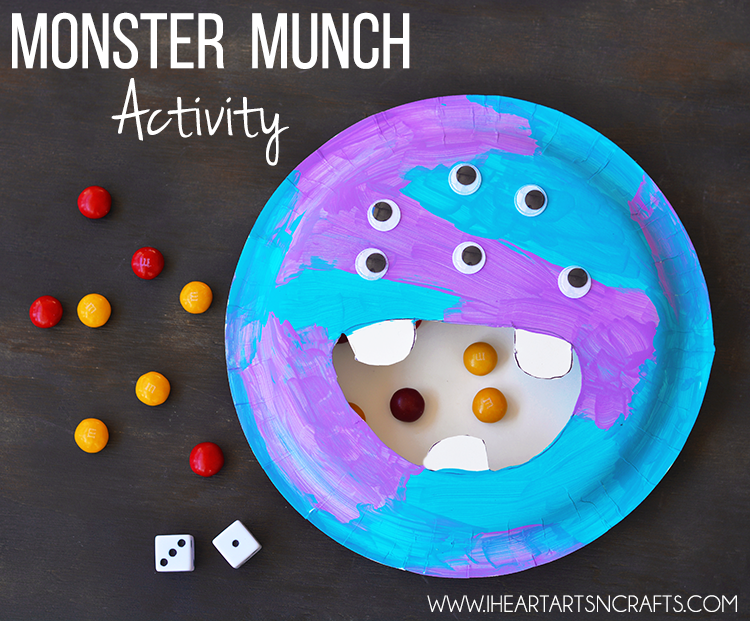 First you’ll want to trace the shape of your monsters mouth onto the plate and then cut it out. Make it large enough so that the kids can grab candy in and out of it. 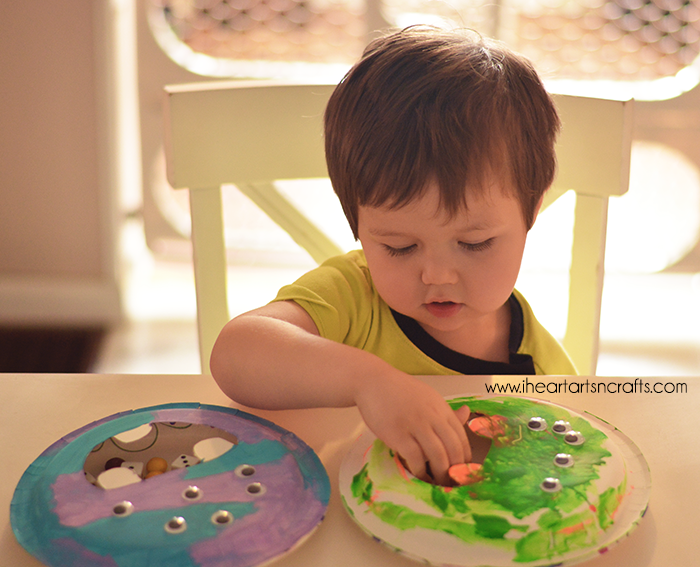 Next the kids can decorate their monsters using whatever kind of materials you have available. We just used some acrylic paint and googly eyes. Then you’ll want to take another paper plate and glue it to the back of your monster. 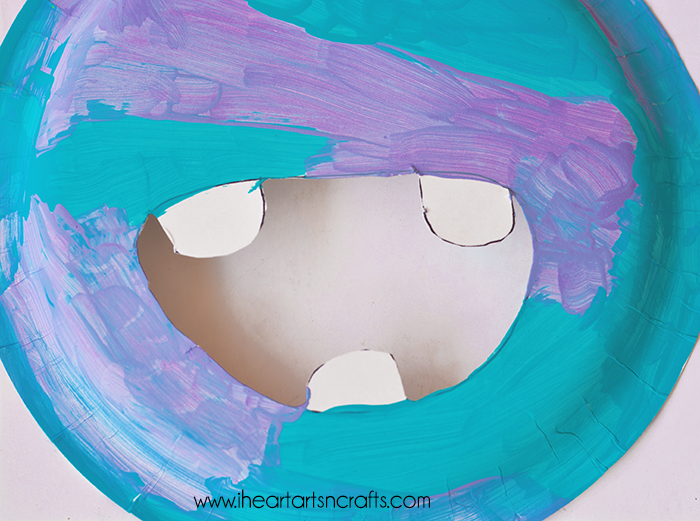 Place the glue around the edge of the paper plate and glue together. This will keep the candy inside your monster. Right now we’re practicing number recognition so we took some dice and M&M’s that we had on hand. Little J would roll the dice and whatever number he rolled he would place that many piece of candy into the monsters mouth. After a while the monsters started eating the dice and his hot wheels cars but he loved it!